Adding a hint of class to any dining room, this formal Claridge pattern is a must-have. 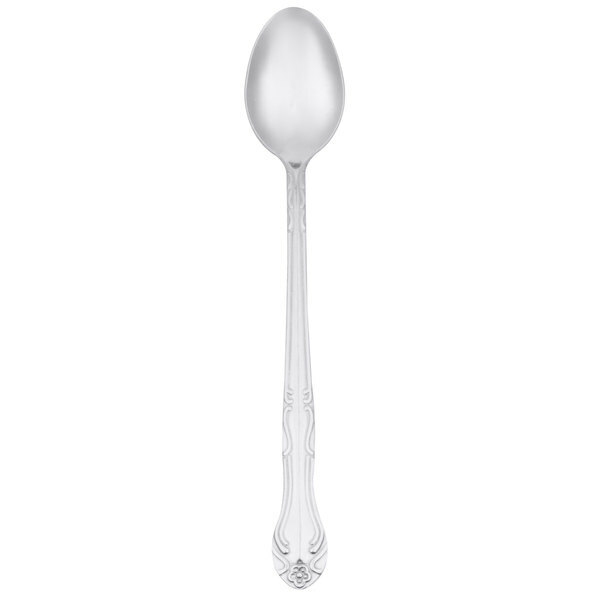 This medium-weight iced tea spoon measures 7 1/8" long and features 18/0 chrome-plated stainless steel with a mirror polish finish that is excellent for anyone looking to enhance their dining area with an air of simple elegance. 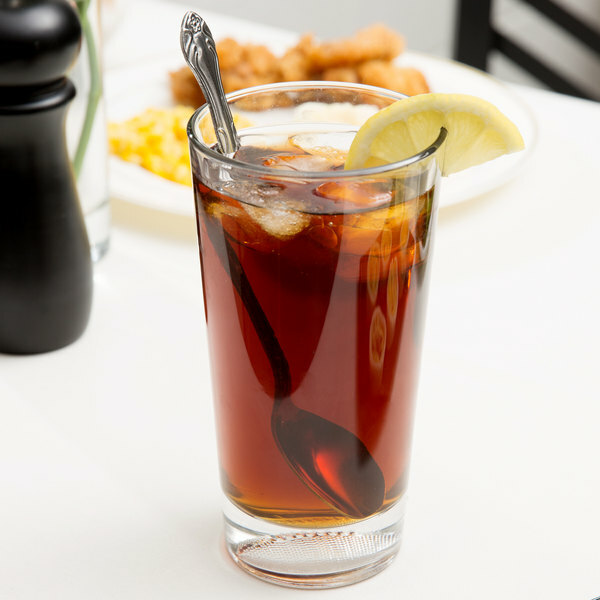 Used best when reserved for stirring drinks, these utensils are perfect for large beverages like iced tea, milkshakes, and root bear floats. We used these last night for an annual holiday party for a client. The guests loved the long handles as they used them for the dessert shooter that we made for them. I originally got these spoons as cheap parfait spoons because of their length but they work great for puddings and other desserts. They do have a bit of a rough edge but for the price, it is a great purchase! I absolutely love this product! This Claridge flatware stainless steel iced tea spoons works great! These are beautiful spoons. Great quality! These spoons aren't to heavy to the touch. I was a little sketchy about the quality being so fair priced but they are well worth it. They are very sturdy and not easily bent. Awesome long tea spoon allows me to make a single serving of tea with no trouble at all. 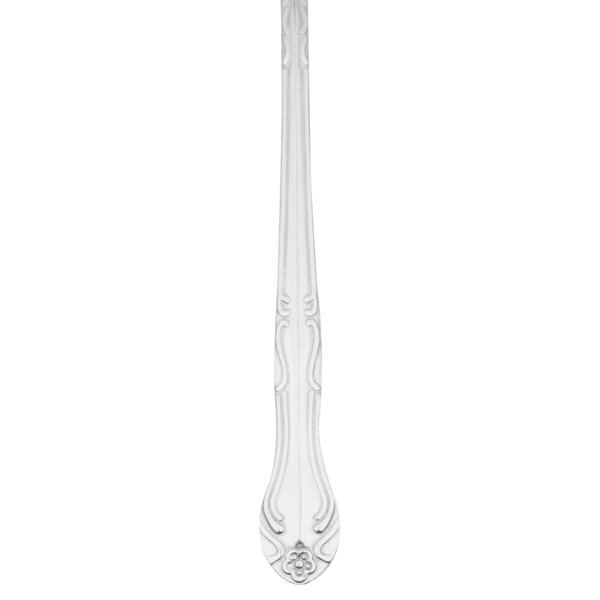 Spoons have a pretty design and are strong. When I ordered these I thought they were 18/10, but they actually turned out to be 18/0. 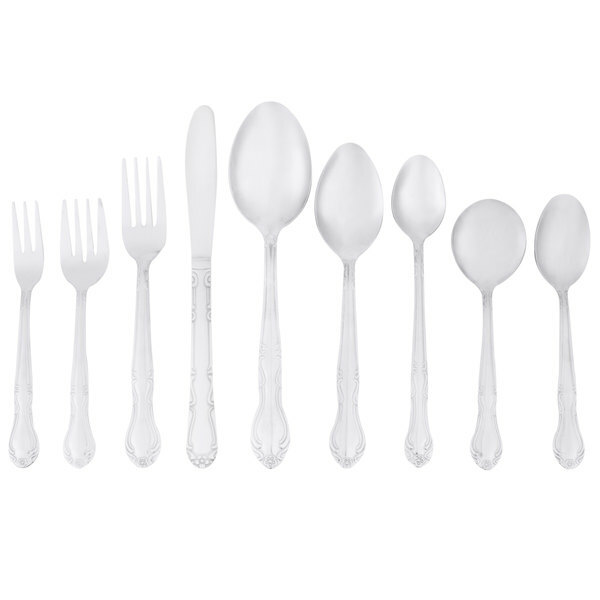 They are still great, the pattern is pretty and they are weighted like normal steel spoons. For a fine dining place I would prefer 18//10, but these aren't lacking as far as quality. 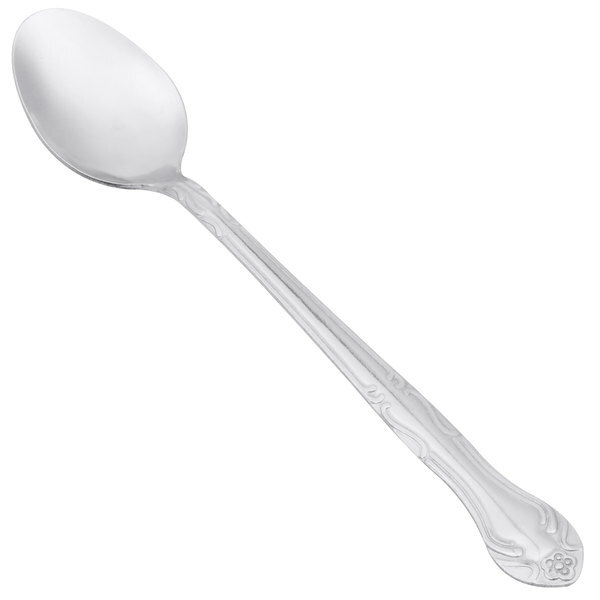 I love serving floats, smoothies and iced teas with these spoons, and they also are useful for reaching into tall jars! 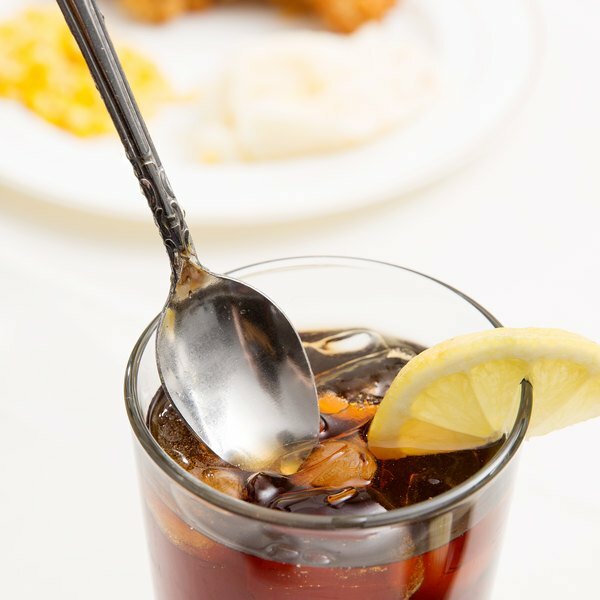 Long teaspoons, make perfect accessories for soda floats or tea in a tall glass. Rounded edges and sturdy construction makes these a must for any situation.